The story of how I got together with three lovely ladies from East Anglia to create some beautiful vintage style images, working as a team for the very first time…. Model Jody Sturman was the catalyst for the Team: Jody has been working as a model for around three years, and after getting in touch with photographer Caroline Lawrence, these two Suffolk girls started to work together, inspiring Jody to work with other local photographers to create a portfolio & ultimately starting a career as a freelance model last year! 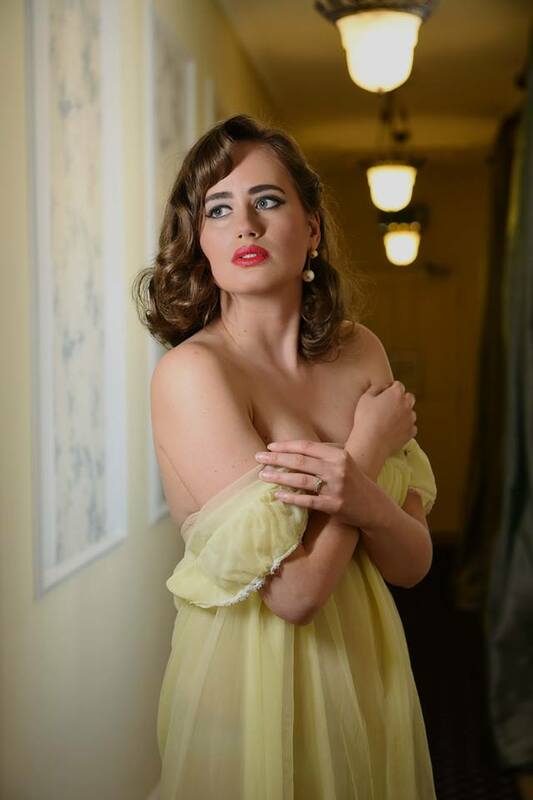 Jody organise lots of themed shoots, has been published, and her images have gone from strength to strength with ‘vintage’ gradually becoming her speciality, as she loves the class and elegance that comes with it and which she always aspires to in her work. I first met Jody via Facebook when she sent me a few messages offering to model for me & we became virtual friends, swapping tips about vintage style etc. Caroline Lawrence, our Team photographer, has a passion for developing model portfolios and enjoys working creatively with other like-minded individuals – she and Jody had been discussing the idea of collaborating on a series of ‘Through The Ages’ shoots, which took the girls a step closer to our first Dream Team project…Caroline’s photography work is her passion and inspiration – she believes in creating and saving memories via her images, and her passion shows through in the beauty of her work. I became aware of Caroline via her work with Jody, again firstly on Facebook. Some more behind the scenes snaps…Caroline worked tirelessly on this set of images to get lighting & body positions just right, I knew right away we were in for something special! Jody and Caroline have worked together on various fashion projects, including a fabulous 1920s bridal shoot (that particular vintage look suited Jody perfectly, as captured by Caroline!) 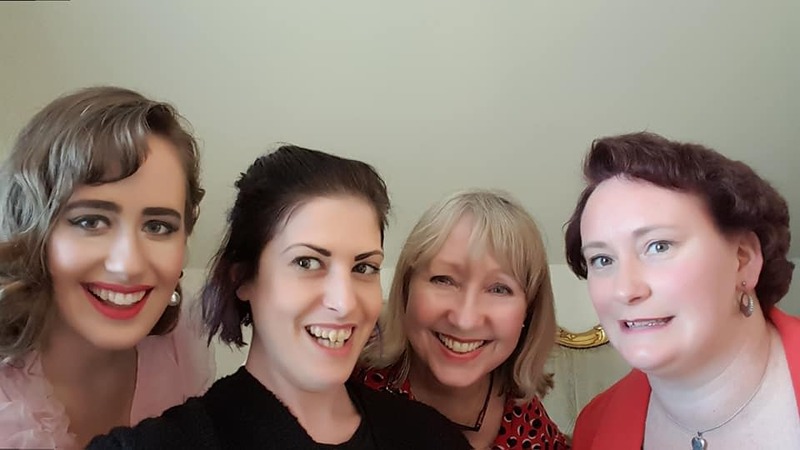 which brings our next team member into the picture – hair and make-up artist Jessica Ludlow, who has teamed up with Jody and Caroline before, including creating the amazing 1920s period hair style. Jess is a trained hairstylist under the business name Rock ‘n’ Rolla Hairstylist, currently doing more training to enhance her skills and always on the look-out for a challenge! I had been aware of Jess for a while, mostly through her modelling work as Sailor Cherry and as her other half is a musician, we already had a lot of mutual friends in the world of Rockabilly. Behind the scenes! Jess works on Jody’s soft 1950s style set. Also a little glimpse into our beautiful location! I was last into the arena! As you all know, I am a life-long vintage fan and retailer, selling mid 20th century clothing and accessories, specialising in vintage nightwear and lingerie. 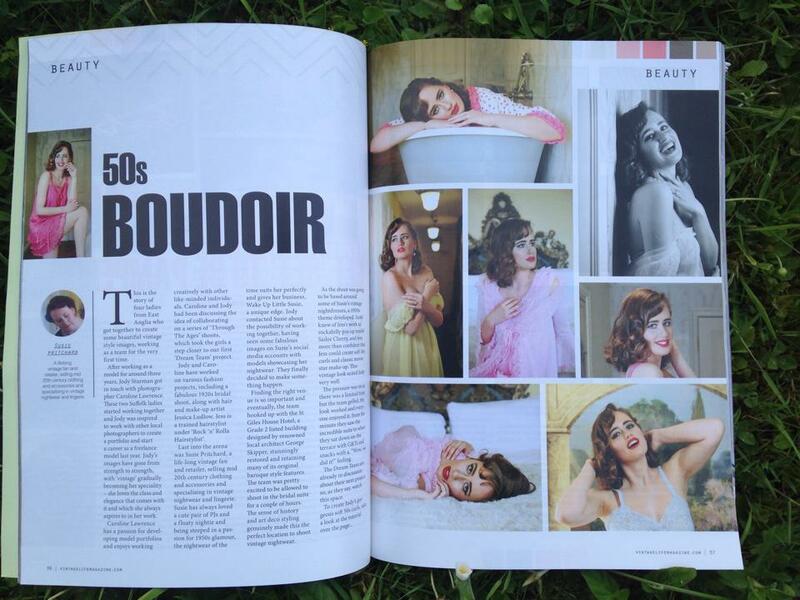 I have always loved a cute pair of PJs and a floaty nightie, and being steeped in a passion for 1950s glamour, the nightwear of the time suits me perfectly and gives my own business, Wake Up Little Susie, a unique edge. My business evolved naturally from her own interests, and became my full time living when I was made redundant in 2014, leading to a busy life of vintage fairs, solo Pop-Up events & developing my online boutique – always on the look out for like minded people to collaborate with, and ways to get good photos of my lovely stock! This pale blue lace slip fit Jody perfectly and worked so well against the stunning bathroom mural in the hotel. How did it all come together? As she had done with Caroline, Jody started to contact me about the possibility of doing something together, having seen some images on my social media accounts with models showcasing my nightwear and we bounced the idea around for a while before finally deciding to make it happen! Jody immediately chose Caroline as the best photographer for the job and for a bit I thought I was going to have to catch a bus from Norwich to Bungay (all in a day’s work…) but with fellow Norwich girl Jess coming on board for hair and make-up duties, it turned into a road trip for Jody and Caroline with the challenge of finding a suitable Norwich based location falling to me & Jess…. Can you believe they let us shoot in here?! Photo from the hotel’s own Facebook page. 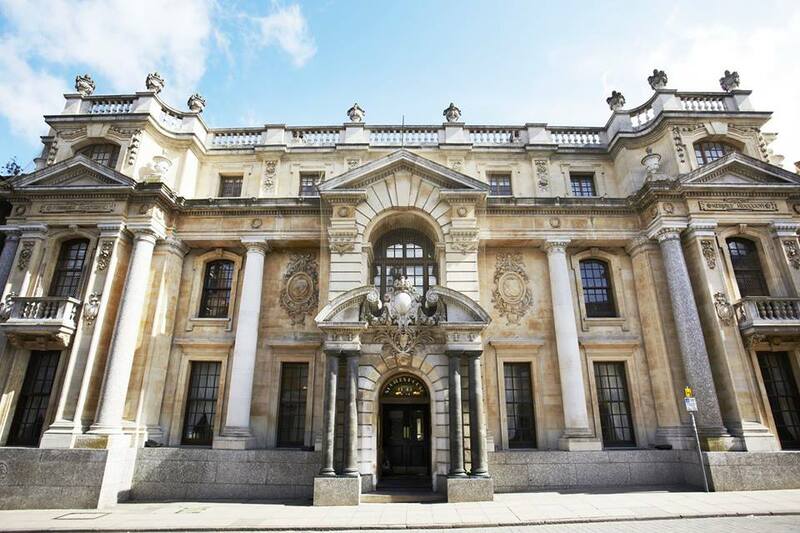 Finding the right venue is so important…and eventually, through a friend of a friend, the Team hooked up with the amazing St Giles House Hotel, a Grade 2 listed building designed by renowned local architect George Skipper, stunningly restored and retaining many of its original baroque style features. It’s well known in Norwich for being a classy joint to go to, so we were pretty excited to be allowed to shoot in one of the best suites (the bridal suite no less!) for a couple of hours. The sense of history and art deco styling genuinely made this the perfect location to shoot vintage nightwear. Really, we couldn’t believe our luck! Behind the scenes…the suite was absolutely beautiful. Onto the style of the shoot….as it was going to be based around some of my vintage nightdresses, a 1950s theme soon developed and although I hadn’t met Jess in person before, I knew through her Rockabilly pin-up work that she would definitely be able to nail it when I suggested soft ‘50s curls and classic movie star make-up! This proved to be another vintage look that suited Jody very well and as Caroline started to shoot (with me & Jess styling, holding lights and generally having fun!) it all fell into place so well! The pressure was on as there was a limited time before the room needed to be serviced which created some pre-shoot nerves, but there was no need to have worried! The Team really gelled, the look worked and everyone enjoyed it so much from the minute we saw the incredible suite (we’re thinking of chipping in to hire the room for the night to take turns using the luscious bath tub…) to the minute we sat down on the terrace with G & T’s and snacks with a ‘Wow, we did it!’ feeling! The bathroom was insanely luxurious! Jody wears a fab little vintage polka dot 2-piece set, very cute & perfect for having fun! Although the shoot took place in April, we couldn’t share the results straight away…we had already been thinking about publications that might accept our images & when Caroline started to edit, she truly believed it was some of her best work ever, so a submission was made to a well known vintage magazine, and after an agonising time of sitting on our photos, we were finally able to announce the other day that we had made it to a three page spread in the June 2017 issue of Vintage Life magazine! Go Team! Over the page is a step by step tutorial o how to create Jody’s ever so soft vintage curls, which the magazine editor asked Jess to do specially for them. Jess also made a video tutorial which you can find on her You Tube channel Soft ’50s curls for everyone! 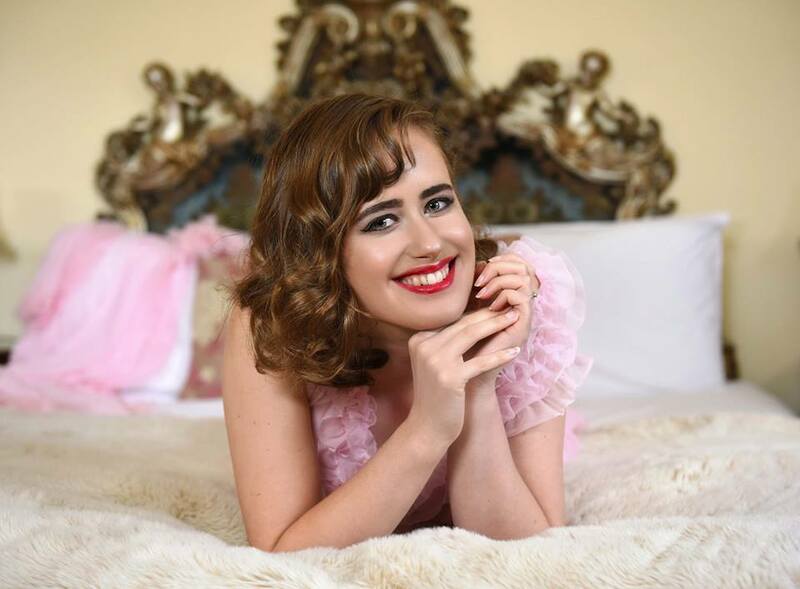 This image is a favourite of us all – it captures the classic Hollywood look we were after, Jessica’s hair & make-up is perfect, Jody looks so glamorous, Caroline’s lighting and composition are spot on and what a great advert for my vintage nightwear. The Dream Team are already in discussion about our next project so, as they say, watch this space, and in the meantime, sweet dreams everyone x….